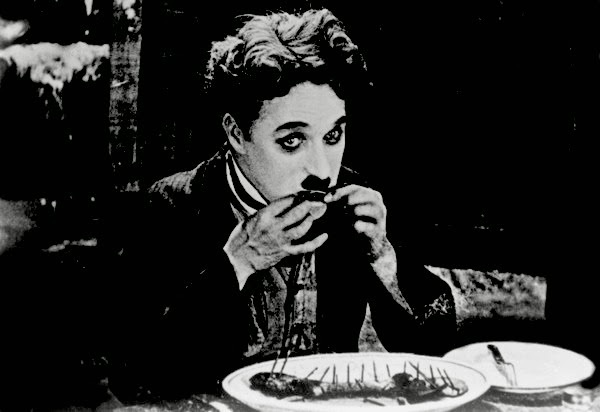 In the creation of comedy, it is paradoxical that tragedy stimulates the spirit of ridicule; because ridicule, I suppose, is an attitude of defiance: we must laugh in the face of our helplessness against the forces of nature – or go insane. Out of this harrowing tragedy I conceived one of our funniest scenes. 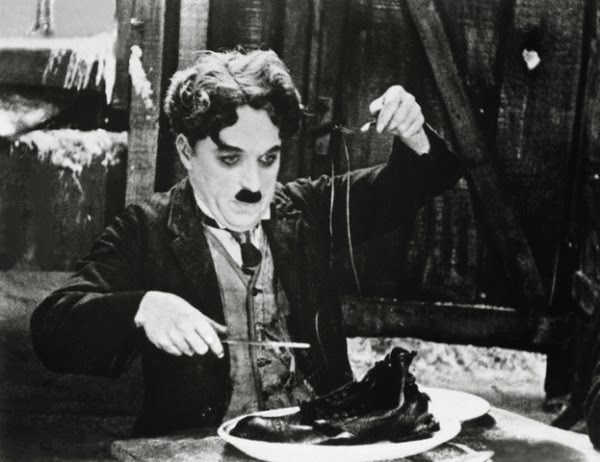 In dire hunger I boil my shoe and eat it, picking the nails as though they were bones of a delicious capon, and eating the shoe-laces as though they were spaghetti.